We only work with fully qualified appraisers who have experience conducting appraisals to the highest industry standards. When a project requires appraisals to be conducted, Professional Property Services, Inc. (PPS) subcontracts with local, experienced appraisers to inspect the property and determine fair market value by using the latest and most accurate information available to support their reported cost findings. 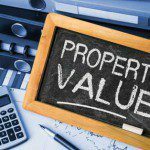 PPS’ appraisers use only approved and accepted appraisal formulas, such as income approach, replacement cost and comparable sales, combined with current market trends to establish fair value for any type of property, whether it is vacant, commercial, industrial or residential. PPS only works with fully qualified appraisers who have experience conducting appraisals to the highest industry standards and have the resources to stay on schedule by both performing assessments in a timely manner and submitting a quality report. PPS assists subcontracted appraisers by providing much of the necessary background information, including tax and land records of the subject property along with the best contact information to reach the land owner. Providing this information can help the appraiser with the initial property research and facilitate keeping the project on schedule. PPS can also provide a certified review appraiser to evaluate appraisals if needed, who will prepare reports and determine the accuracy of appraisals. PPS is authorized to provide appraisals under the NCDOT work code 00192 (Right of Way Appraisals) and has provided appraisals on many projects, all to the satisfaction of each client. If you would like more information about our appraisal services, please contact us.